To make the avocado chocolate pudding, place the banana, avocado, almond milk, cacao powder, maple syrup and vanilla in a food processor or blender and blend until smooth. Put mixture in a container, cover and refrigerate for an hour or longer. 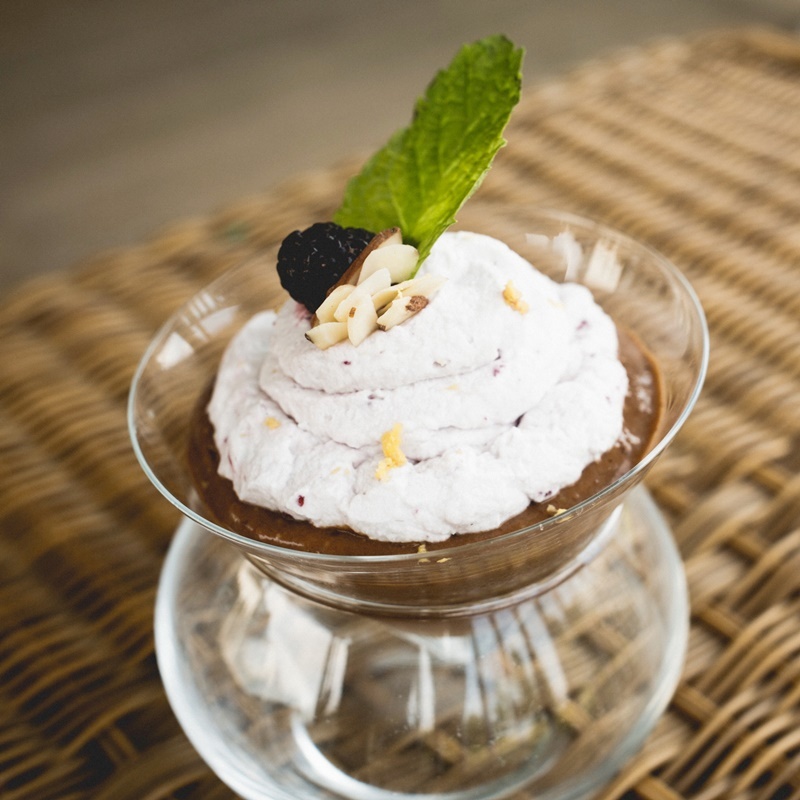 To serve, optionally top with fresh mint, berries, nuts and/or CocoWhip. Blend all ingredients in food processor and put in fridge to chill for an hour or so, then serve and enjoy!